The five Ball brothers, Frank Clayton Ball, Edmund Burke Ball, Lucius Lorenzo Ball, William Charles Ball, and George Alexander Ball, moved to Muncie between 1888 and 1897 during this time of expansion and prosperity. In 1894, Frank, Edmund and George purchased approximately 30 acres of land on a bluff above the White River. The property was located north of the Muncie city limits and extended from Wheeling Pike to the Children’s Home near the intersection of Walnut and Granville Pikes and extending back several hundred feet. A boulevard was to be built along the bluff. 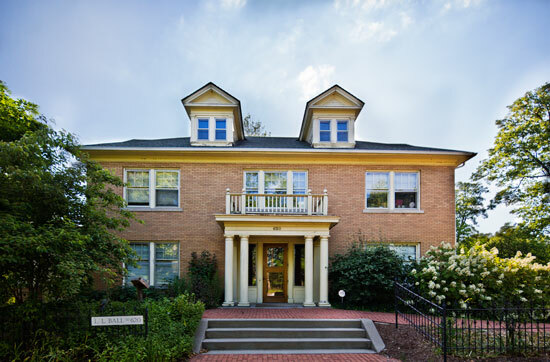 When the Children’s Home moved to nearby Yorktown, Frank purchased that property. Family lore says that the Ball sisters, Lucina and Frances, selected the name Minnetrista for the land by joining the word “minne” for water and “trista” meaning gathering place. Here, between 1894 and 1907, the brothers constructed the homes in which they would live for the remainder of their lives. 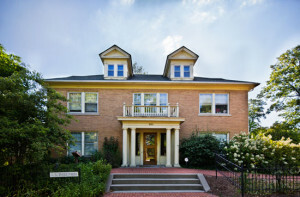 The wealth that they acquired through their enterprises allowed them to build impressive homes, which now comprise the Minnetrista Boulevard Historic District. The homes that were built in the surrounding area became part of what would be known as the Minnetrista neighborhood. This neighborhood boasts an eclectic mix of large and small homes and a resident population of both homeowners and renters. 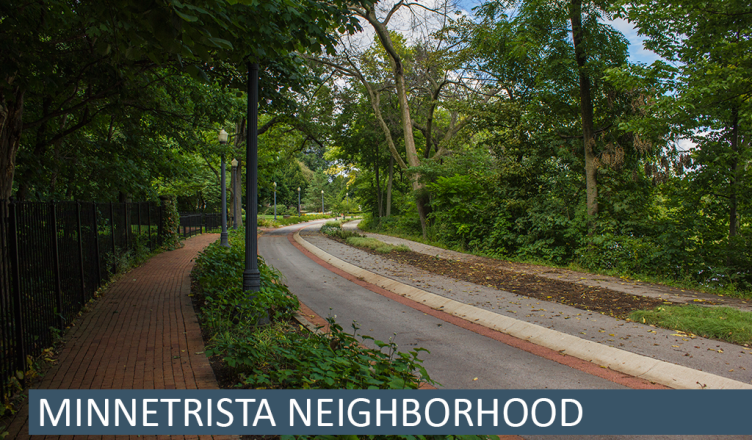 The Minnetrista Neighborhood Association meets on the fourth Tuesday of each month at 6:30-7:30 pm at the Minnetrista Cultural Center. All are welcome. Minutes of the Neighborhood Association Meetings can be found here.